Rebelmail is one of the primary ways you will receive official university communication. Don't miss out on important information about deadlines, major campus events, and announcements. Your Rebelmail account includes the G Suite core and third party applications pictured above. To get the most out of G Suite in class with guides, videos, and other training resources, visit our Learning Center. Get the most out of G Suite in class with guides, tips, customer examples, and other training resources by visiting the G Suite Learning Center. Interactive training for Gmail, Calendar, Drive, Sites, Groups, Docs, Sheets, and Slides is available directly from your Rebelmail account. To access the interactive training tutorials, sign in to Google Chrome and select the Training for Google Apps icon. Click on the tutorials to be guided through the selected task. Got a question? 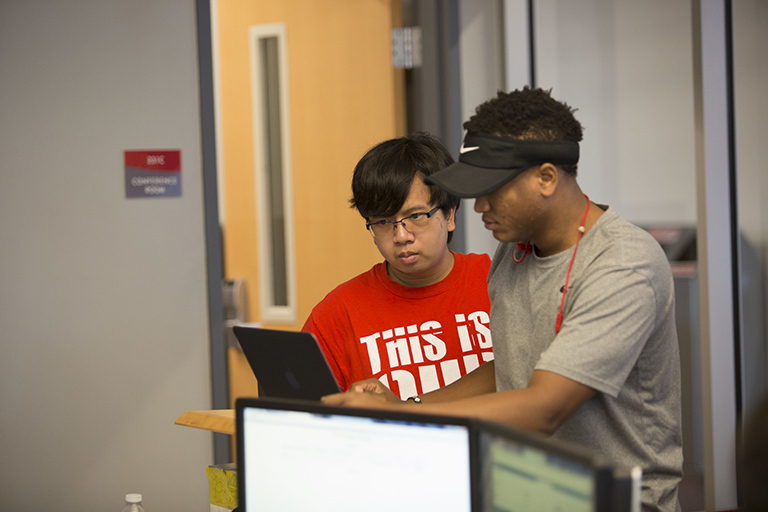 The IT Help Desk has been helping students use Rebelmail since 2010.